LAS VEGAS — After veteran goaltender Marc-Andre Fleury allowed 17 goals in four straight starts, the Vegas Golden Knights' Malcolm Subban took over the crease for just the eighth time this season. The 25-year-old Subban made the most of his first start since early January. Subban made 29 saves, Max Pacioretty scored twice and the Golden Knights defeated the Nashville Predators 5-1 on Saturday. Vegas snapped a three-game losing streak, and a franchise-record five-game skid at T-Mobile Arena. Vegas, which was 29-10-2 at home last season, improved to 17-9-3 at home this season. "I felt good obviously to get back in there. Not playing for a while you never know how its gonna go, but you just try to focus on the first shot and (then) one shot at a time," Subban said. "They stole one from us here in our building not too long ago. We came out here on a losing streak at home and felt we had to stick to these guys and get some revenge to them from the last game they beat us." Subban, who recently spent time on the injured reserve list with an undisclosed injury, was spectacular in earning his third straight victory. "He was great, he came off the IR seven or 10 days ago, got some good practice in with (goalie coach) Dave (Prior) and with our team and tonight he was sharp," Vegas coach Gerard Gallant said. "He looked really good, he looked focused and he made some incredible saves." That included a huge save in the second period that could've shifted momentum, when Nashville's Ryan Hartman fired one shot, raced across the crease and tried to sneak the rebound by the post, but was denied by Subban's outstretched skate. Then, ahead 3-1 with a little more than 13 minutes left in the game, he stoned Viktor Arvidsson on a straight-ahead shot from just inside the circle. Brandon Pirri, Shea Theodore and Oscar Lindberg also scored for Vegas. Nashville came into the game ranked fourth in the NHL in goals-against per game (2.57) and seventh in shots allowed per game (29.4). The Preds had allowed two-or-fewer goals in 31 games, and one-or-fewer in 18 of their 60 games before allowing the handful to Vegas. Kevin Fiala scored his 10th goal for Nashville, and Juuse Saros made 45 saves. "It wasn't a good game. We were down in a lot of areas and the score reflected that," Nashville coach Peter Laviolette said. "The second period, for me, was unexplainable. That's back-to-back second periods where we just didn't show up." Vegas controlled the tempo the entire second period, during which it outshot the Predators 24-7, keeping the pressure on Saros, who fell to 3-1-0 in his career against the Golden Knights. It was during the second 20 minutes the Golden Knights got their game-winner, when William Karlsson passed to Reilly Smith, who dished to a wide open Pirri, who was streaking into the zone. Pirri's initial shot was blocked, but he stuck with it and followed it up and found the back of the net with his third game-winner. With the NHL's third-best penalty kill on home ice, the Golden Knights were 3-for-3 short-handed, as the Predators couldn't crack Subban with their power play. Nashville ranks last in the league with a paltry 12.7 conversion rate on the power play. "Working on it," said Laviolette, whose team has just three goals in its last 54 power-play chances. "We work on it constantly. On the ice, in the room, on the video. It's not working." Golden Knights centre Paul Stastny continued his point streak with an assist to Theodore, who buried a backhand over Saros to give Vegas a 3-0 lead early in the third period. Nashville tried to stay in the game when it got on the board shortly after with Fiala's goal. But Lindberg pushed the lead to 4-1 when he fired the puck through the legs of Nashville forward Colton Sissons and past Saros. Pacioretty, meanwhile, responded to being moved to the third line, as Gallant was looking to shake things up with an offence that had been stagnant during a 2-7-0 slide. Pacioretty snapped a five-game goal drought with his first multi-goal game since Nov. 29, scoring the team's first and last goals of the game. NOTES: Nashville defenceman P.K. Subban remains two points from 400 and six goals from 100. ... Predators wing Viktor Arvidsson had tallied 12 goals in his previous 13 games, but he was kept off the board after being limited to just two shots. 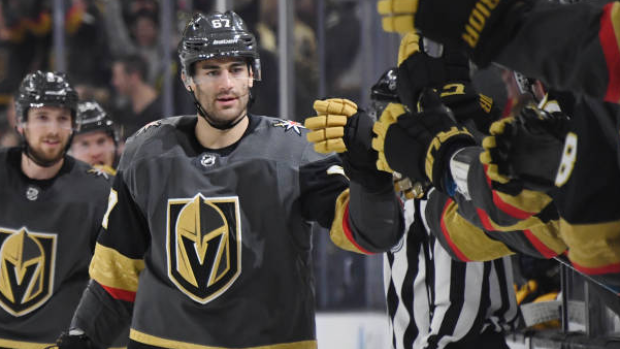 ... Tuch, the Golden Knights leader in points with 41 points, snapped a seven-game drought with his assist on Lindberg's goal. Nashville: Visits Dallas on Tuesday. Vegas: Visits Colorado on Monday.